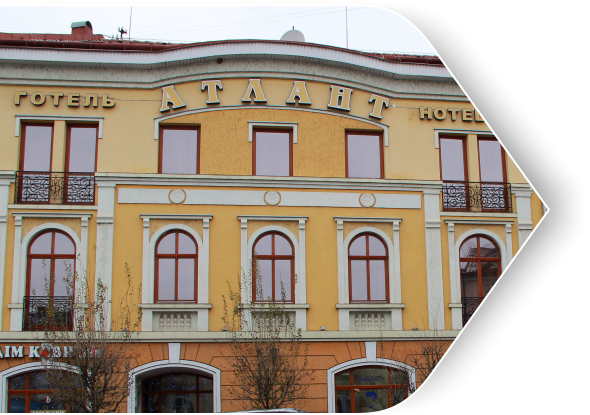 "Atlant" - European comfortable hotel in the historic and commercial center of Uzhgorod city. 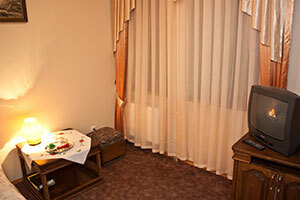 In our rooms, we provide comfort and coziness. 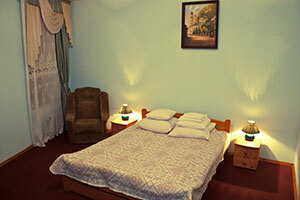 Hotel "Atlant" offers each guest high-quality service and individual approach. 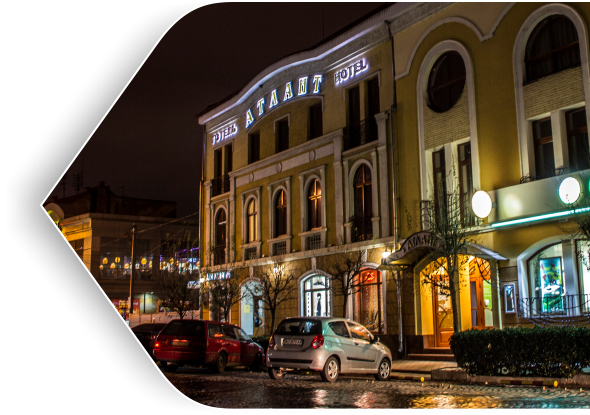 The hotel building is an integral part of the architectural ensemble of the historic center of the ancient city upon river Uzh that opens entire epochs and cultures of different times and peoples. 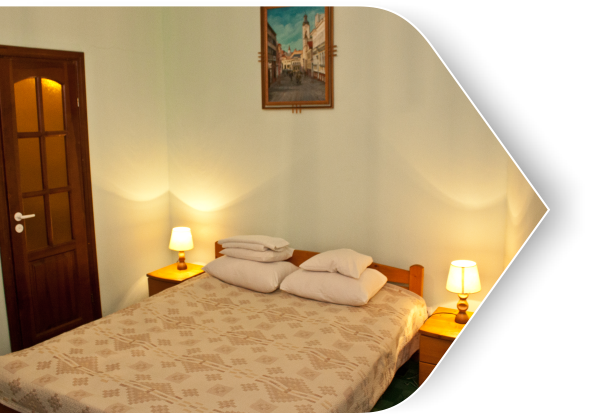 Here the administrative and trade centers are joined that saves time of businessmen and provides an excellent opportunity to see the sights of the old city. 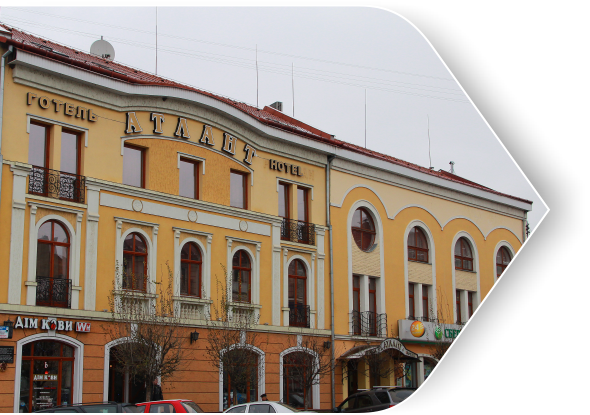 Hotel "Atlant" is located in the center of Uzhgorod 2 km from the railway station, 2.5 km from the airport "Uzhgorod " and 3 km from the Ukrainian-Slovakian border. 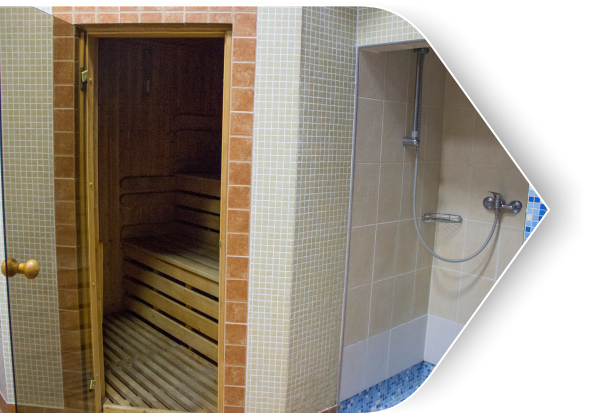 Throughout the day you can visit a coffee shop, a hairdressing salon and a sauna located at the hotel. 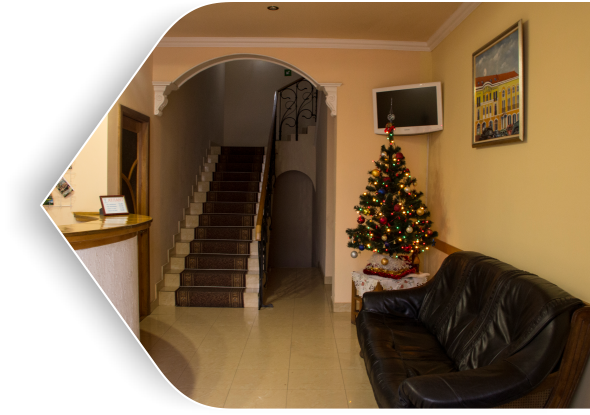 A bank is next door to the hotel. 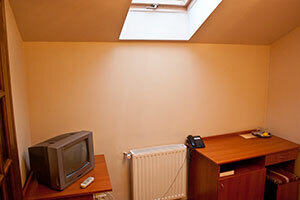 The Wi-Fi access is provided for your comfort in the public areas and guest rooms. 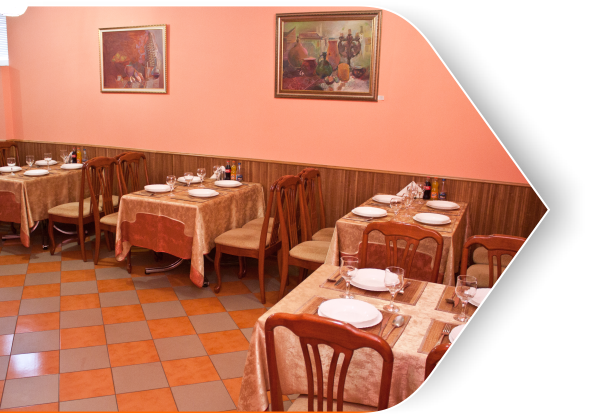 If you wish, we shall organize for you splendid tasting and interesting tours across the unique corners of Transcarpathia. 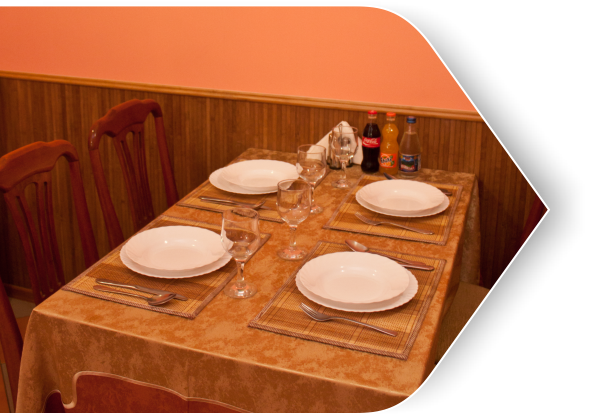 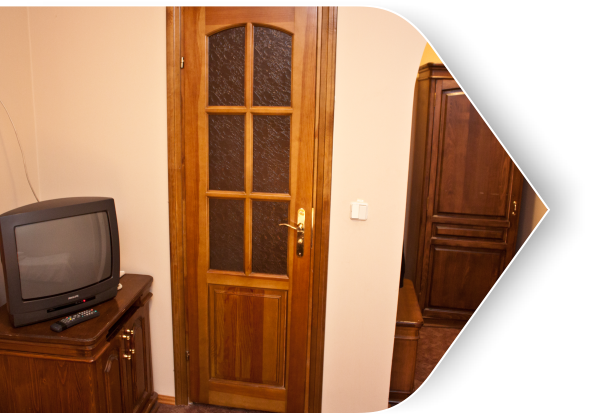 You want to order a room in the center of Uzhgorod? 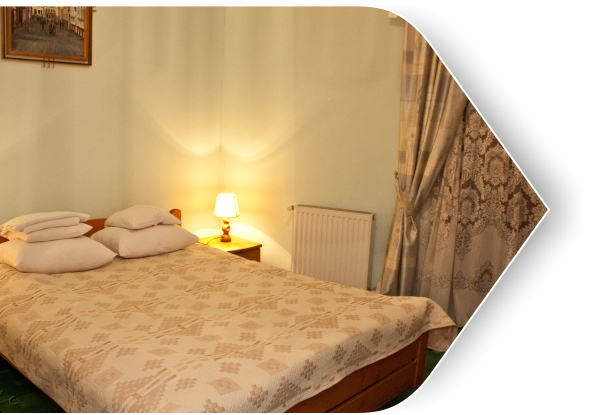 In the hotel "Atlant", you may order comfortable and cozy single, double, luxury and junior luxury rooms. 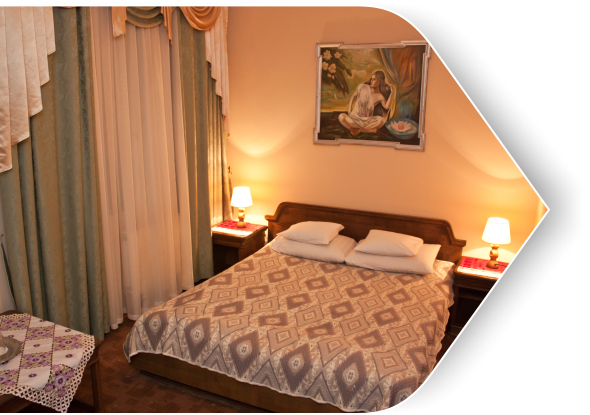 All the rooms are decorated with beautiful paintings showing Uzhgorod city and Transcarpathian region landscapes. 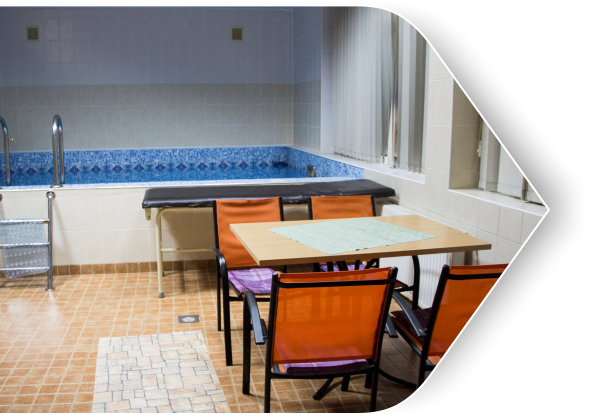 All the rooms have a refrigerator, a coffee table, an Internet Wi-Fi, a phone, a bathroom with shower or bath: hot water, hair dryer, towels, hygiene means. 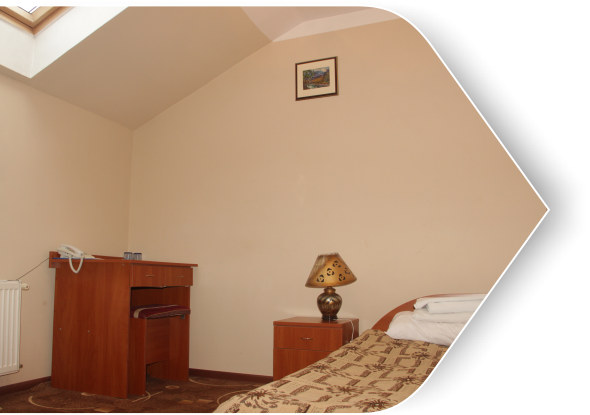 The room price includes breakfast. 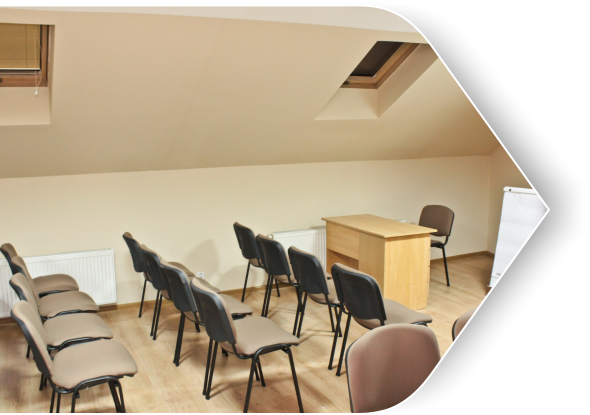 Single room | Standard attic (4th floor) | Standard | "Junior luxury" | "Luxury"
This cozy and quiet single rooms for business people or for those who wants peace and quiet. 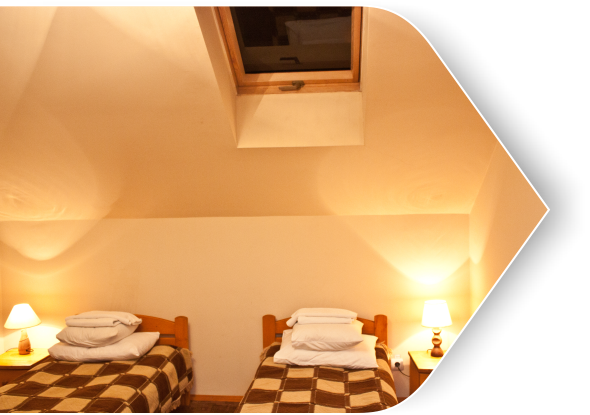 For romantic people and amateurs of attics. 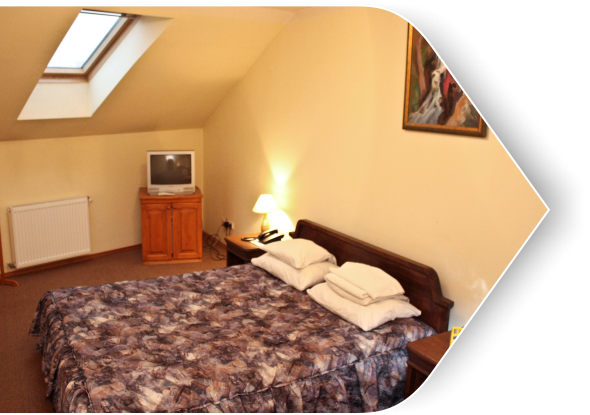 Its distinctive feature is a roof window, through which you, lying in the bed, may have a pleasure to admire the stars. 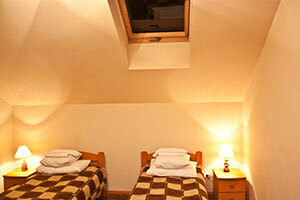 Comfortable double room with a French bed, a good choice for couples. 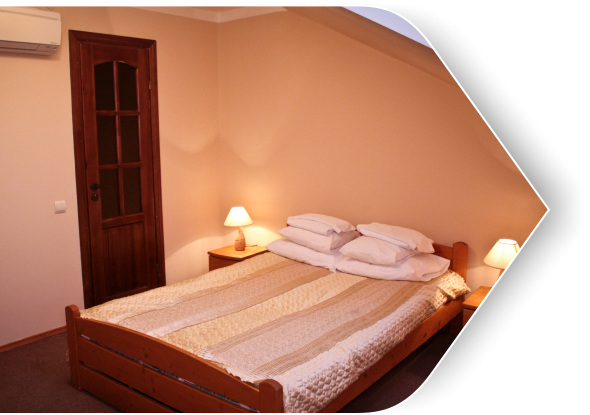 Perfect solution for couples with children, business trips and tourists wishing to relax comfortably and inexpensively. 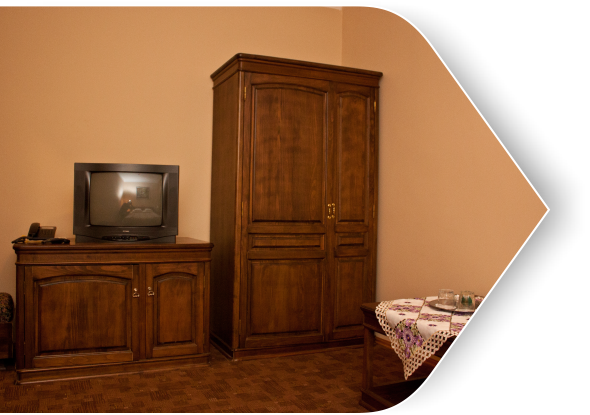 You appreciate the living space and enjoy maximum comfort? 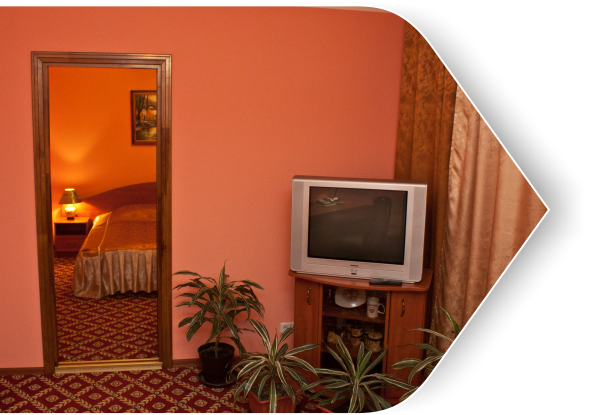 So you are welcome to Suite. 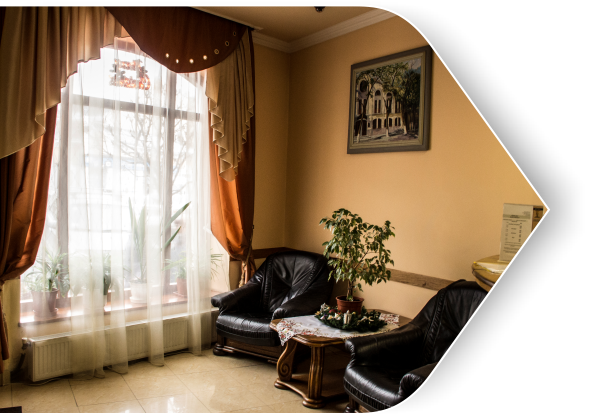 Beautiful interior complements the wonderful view from the window to the center of Uzhgorod. 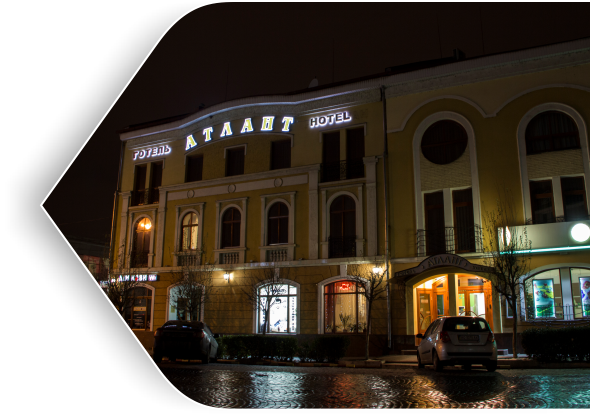 300/50 Tea with lemon or coffee " espresso "
Thinking about the comfort of our guests, the hotel "Atlant" offers you to relieve stress after a working day, emancipate the mind from everyday worries, refill the reserve of vitality and just relax your body and soul. 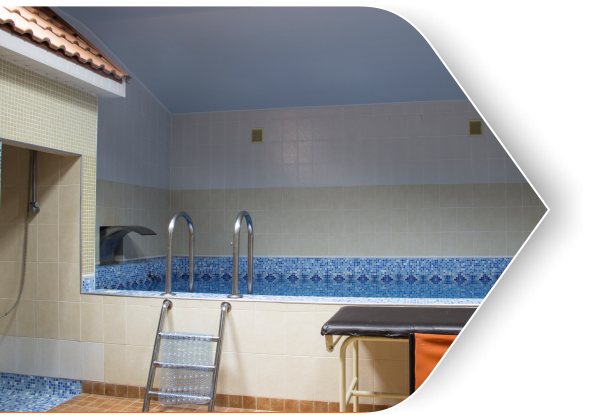 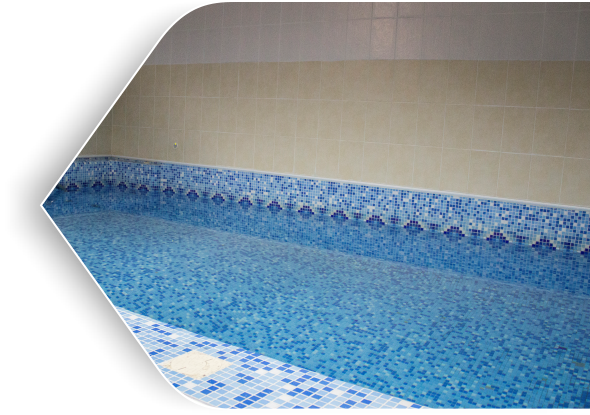 It offers the steam bath connoisseurs a 120 С sauna for 4 persons with swimming pool ( 3 x 5 m, 1.5 m depth ), decorated in the Transcarpathian style. 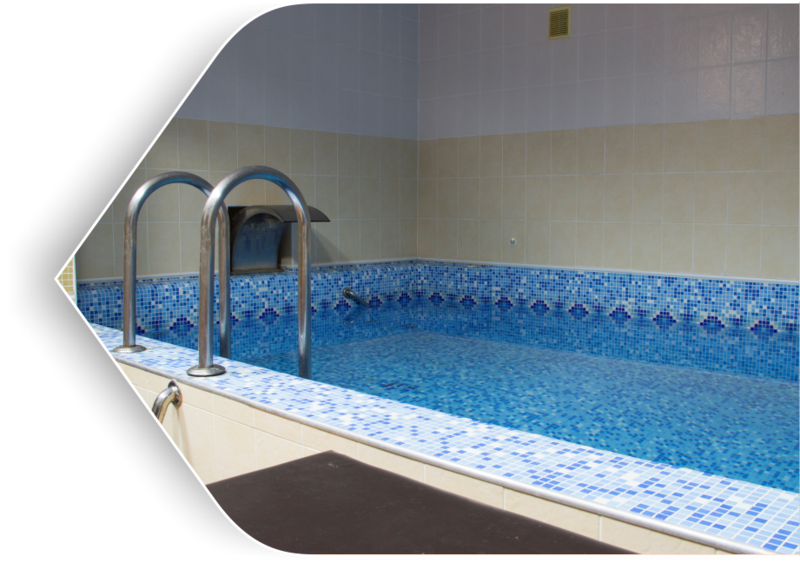 It does not make your body healthier only, but also helps you to relax and gain vitality and freshness. 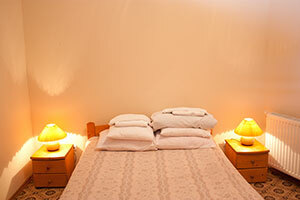 Perfect place to stay! 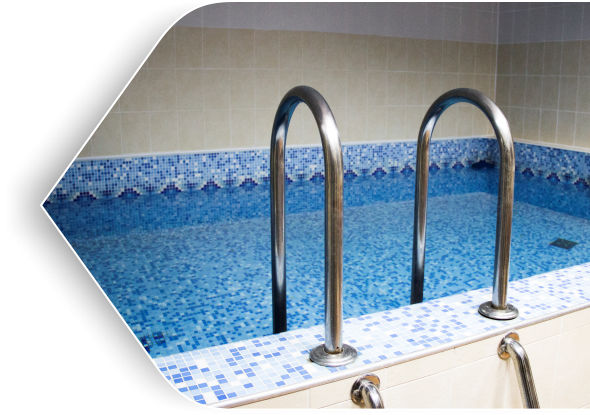 You will feel yourself good ! 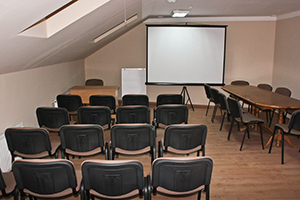 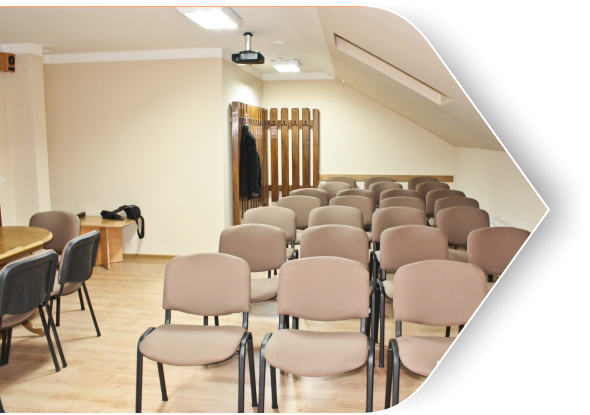 Hotel "Atlant" offers holding conferences, workshops, seminars, business meetings, presentations. 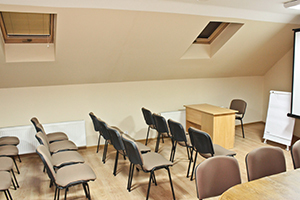 Comfortable conference room for 36 visitors and a meeting room. 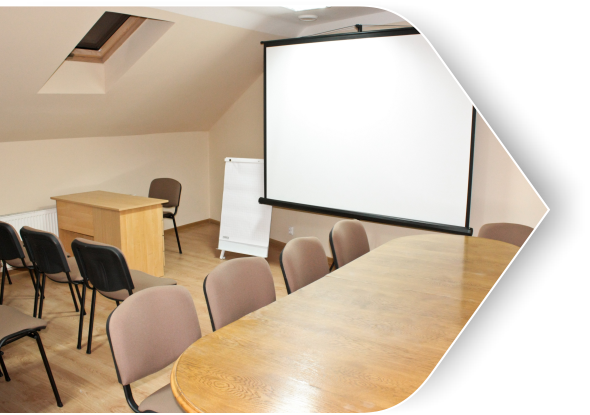 Beamer with the most up-to-date audio and video equipment. 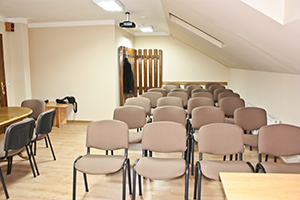 Just a few minutes away the historic monuments of Uzhgorod are located – the majestic Uzhgorod Castle, unique museums, ancient churches and famous coffee-shops of the Uzhgorod city. 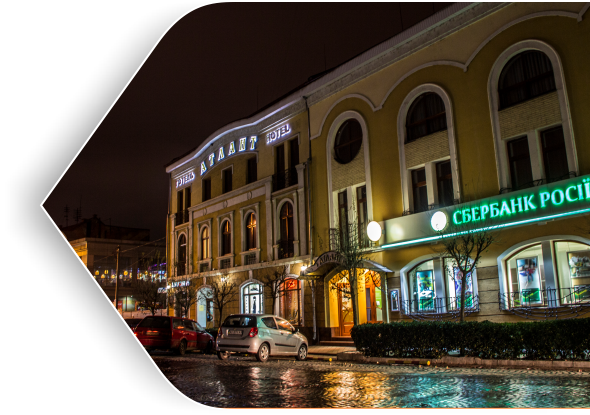 Near the hotel the central streets of the old city begin with images formed in the late 19th - early 20th centuries. 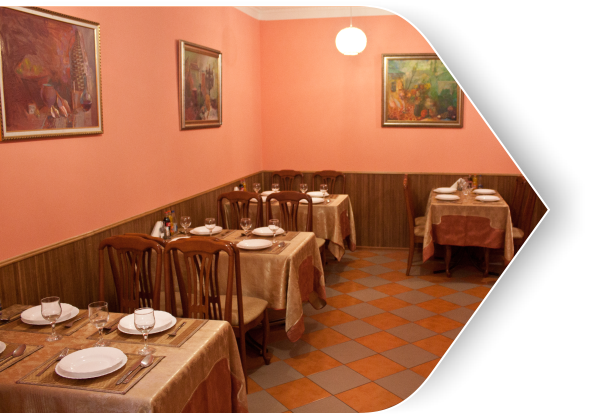 You may visit shopping malls, boutiques and outlets as well as interesting topical restaurants and coffee shops or enjoy the beauty of the old streets of Uzhgorod filled with exotic plants and trees: sakuras, magnolias and so on... You may walk along the Europe's longest 2.2 km long lime-tree alley that goes along the river Uzh embankment radiating a unique friendliness and joy in a fabulous day, transforming everything around into a romantic magic of the night. 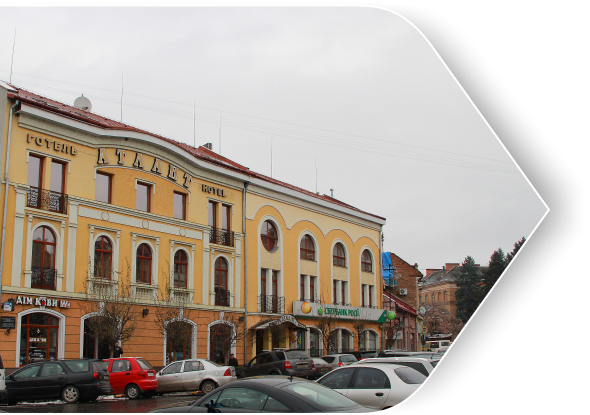 Independence Embankment with its Europe's longest 2.2 km long lime-tree alley . 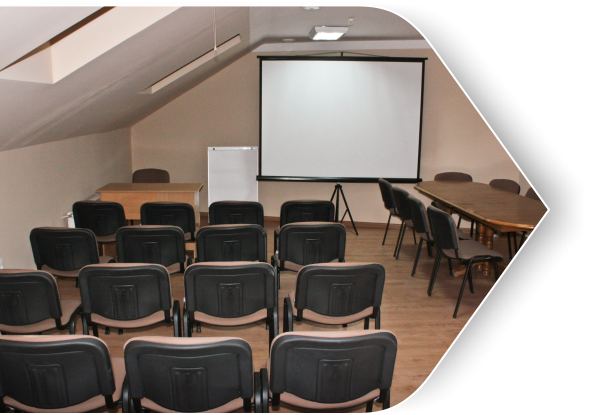 Our administrators will answer all your questions, help you to solve any organizational problem and accept your applications for conference room rent. 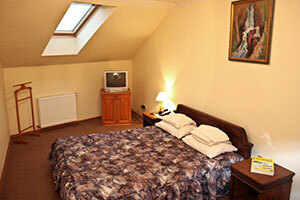 Type of Room Single room Standard attic (4th floor) Standard "Junior luxury" "Luxury"
One room area is 20 sq.m. 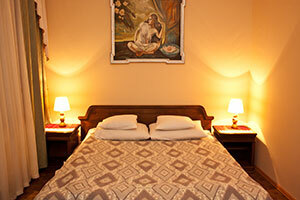 A perfect spot to relax after the whole day of meetings or walking trips. 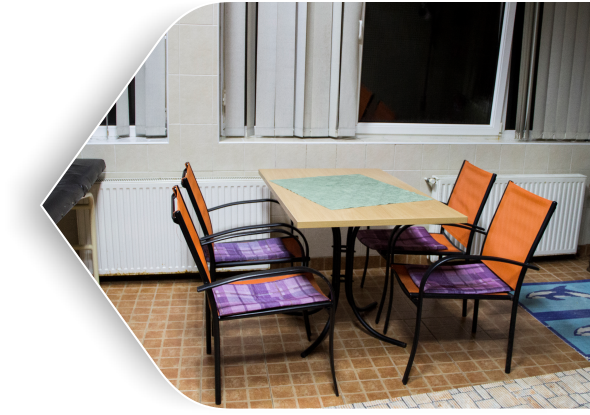 All the rooms face courtyard, thus, nothing prevents you to have a rest or to work intently. 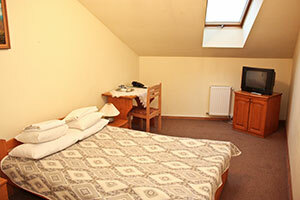 Double room with a roof window and a French double bed. 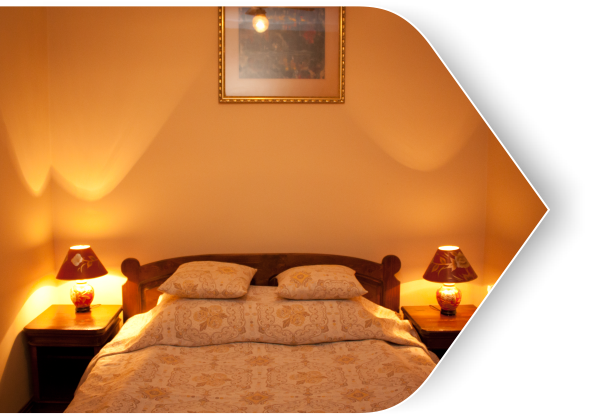 Romantic atmosphere complements the comfort, warmth and coziness. 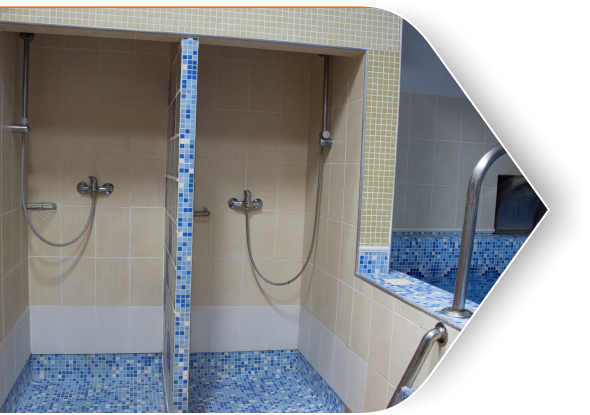 You can choose a room with a bath or shower. 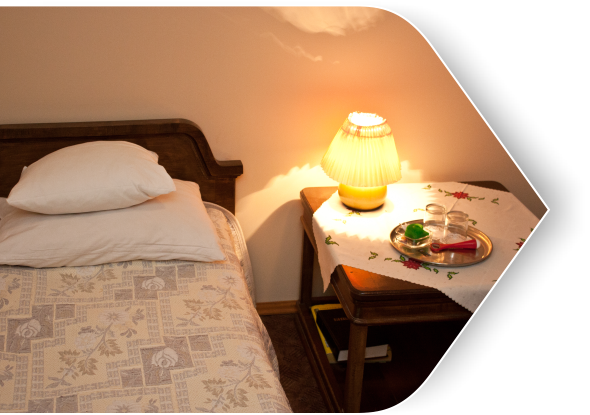 Cozy and warm atmosphere and comfort complement the vivid impressions of holidays in the Carpathians or make a great outlet after intense business events. 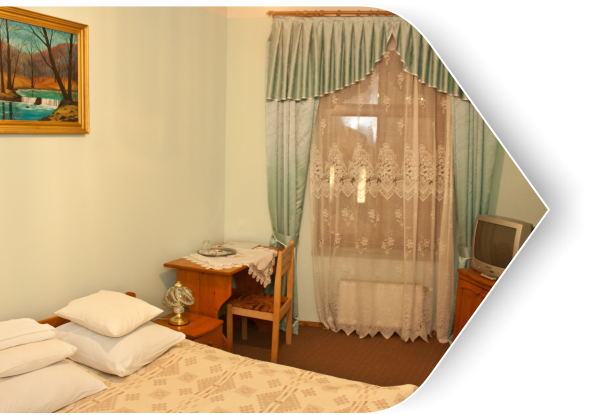 "Junior" in the hotel "Atlant" is ideal for married people with children. 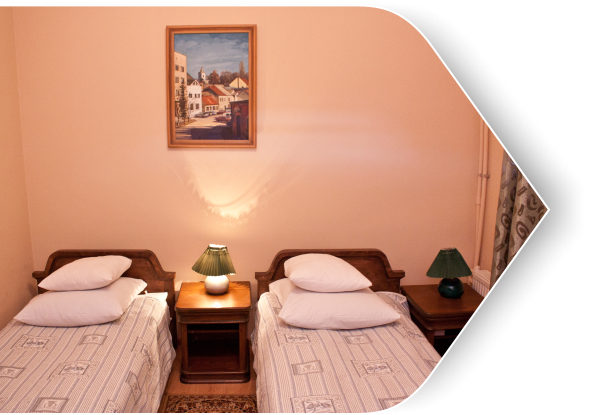 You have an opportunity to take an extra bed (150 UAH.). 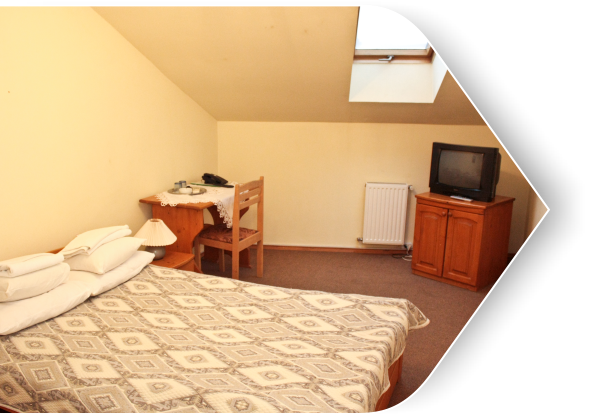 Two rooms with air conditioning and a French bed, with all amenities, ideal for business people and families with children, as there is an opportunity to take an extra bed. 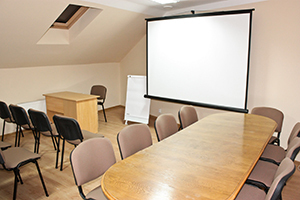 Opportunity to enjoy a coffee break and lunch. 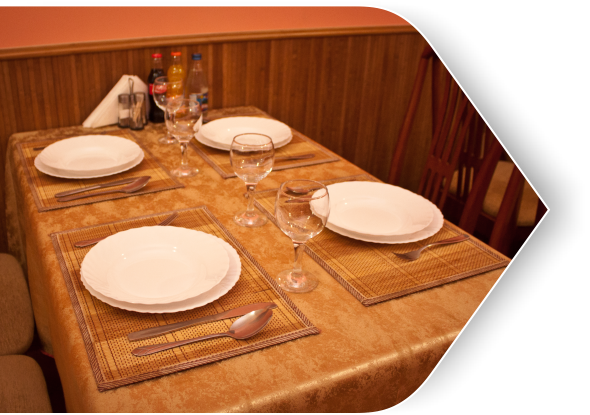 Orders are accepted at the reception.